The 2018 Entrepreneurship Program kicked off on Thursday, September 20th. In attendance were 16 future entrepreneurs, NEDCO Staff, SBDC Director Larry Cain, Mayor Shelley Brophy, and City Councilman Garth Hinze. 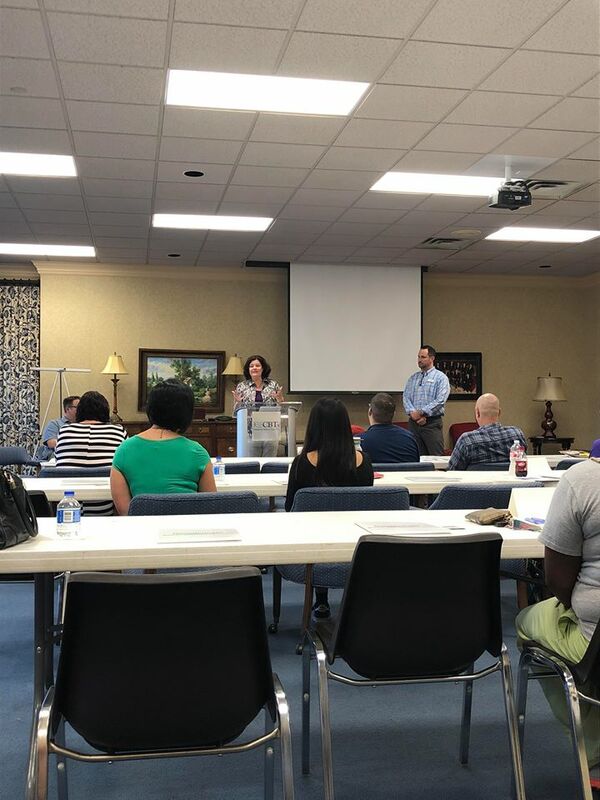 The class shared their business ideas, and heard from two successful entrepreneurs in the Nacogdoches Community; Matt Turner with Turner Fabrication, and Teresa Darby of Glass Castles. The group was very engaged and eager to ask questions. The second class will be Thursday, October 4th. Participants will receive feedback on their homework assignment, to write at least one paragraph describing their business idea. Following the review, the participants will have the opportunity to ask a new set of panelists about their successes, and even failures. The topic of the next class is "Reality Check: When to move on, and how to turn failure into success." © NEDCO 2018. All rights reserved. Designed and Powered by EDsuite.